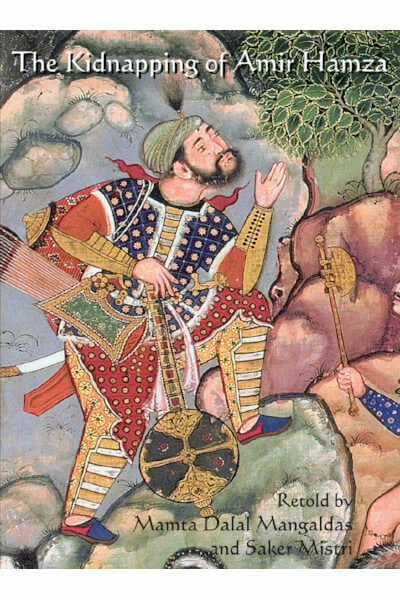 The Kidnapping of Amir Hamza is an exciting tale from the Hamzanama, a Persian epic. It was a favourite of the great Mughal Emperor Akbar. 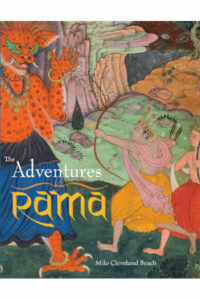 In this book, the master storyteller Darbar Khan from Akbar’s court narrates the episode of the kidnapping to the young emperor, from the lavishly illustrated Hamzanama that had taken nearly 100 artists over 15 years to prepare for the king. The brave warrior Hamza is kidnapped from the shores of the Caspian Sea by the evil Shahrashob. Hamza is held captive in the kingdom of his arch enemy Malik Argus, the King of Takaw. The adventure takes us through the seas, via caravanserais and delightful gardens with chinar trees; on boats, magical horses and camels, recounting the events that lead to Hamza’s victory over the wicked Malik Argus. Young enthusiasts of history and art are also introduced to the creation of Mughal paintings and taught to appreciate ways of seeing Mughal art, in the chapters ‘Akbar’s Painting Studio’ and ‘Be an Art Detective’. The Introduction by Milo C. Beach gives an account of young Akbar and his fascination for illustrated epics, particularly the Hamzanama. Mamta Dalal Mangaldas loves reading children’s books and understanding how children learn. She has conducted museum workshops to introduce art to children. Saker Mistri is a speech pathologist and museum educator. She has developed museum programmes for children and contributed to travel and art publications.